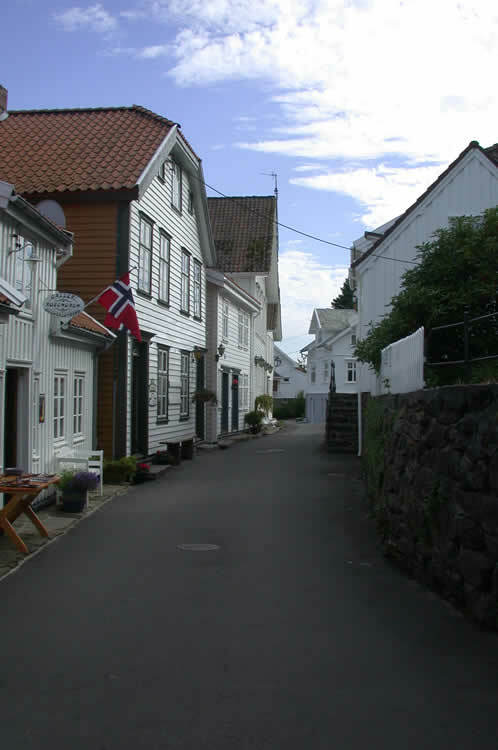 A holiday in the south of Norway. 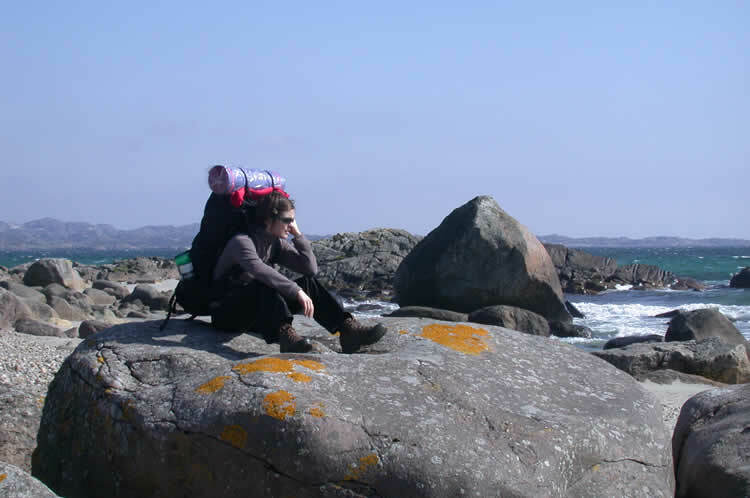 We travelled along the south coast between Oslo and Stavanger. 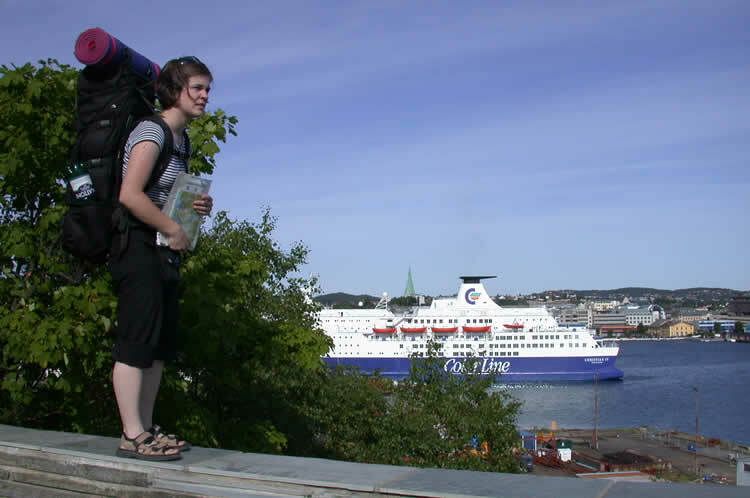 To keep it low budget, we had decided to do all travelling in Norway by hitchhiking and walking. The nights we spent by wild camping. 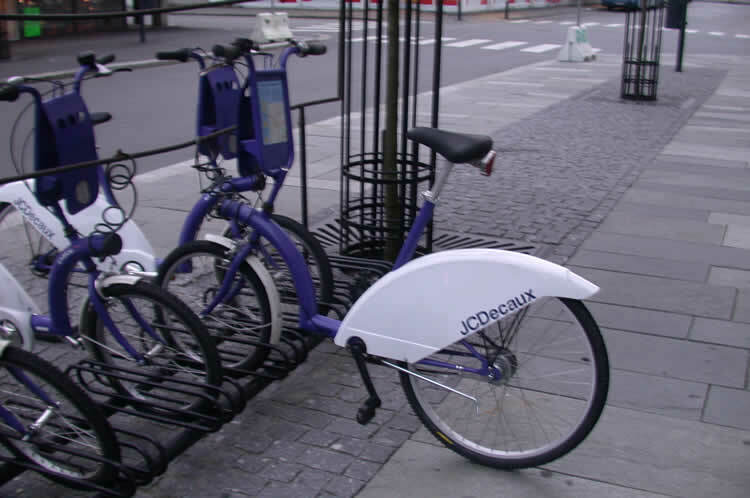 City bikes in Oslo. They can be unlocked with an electronic card. Oslo: Akershus Slott & Festning. 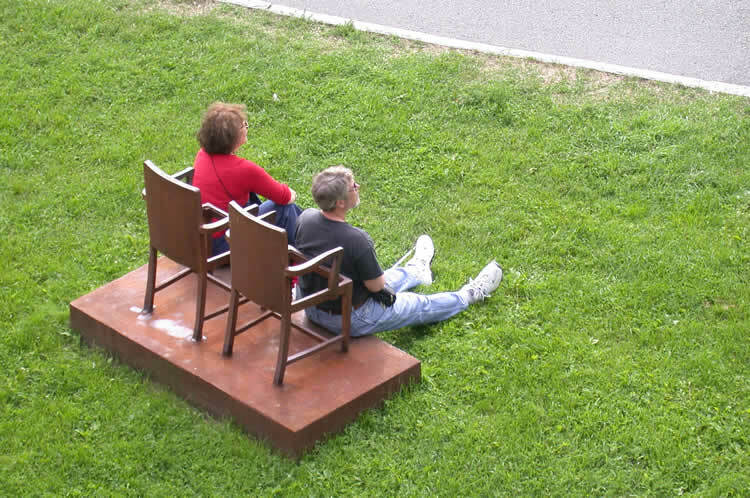 Oslo: Sculptures of chairs. Just outside of the Akershus Slott & Festning. 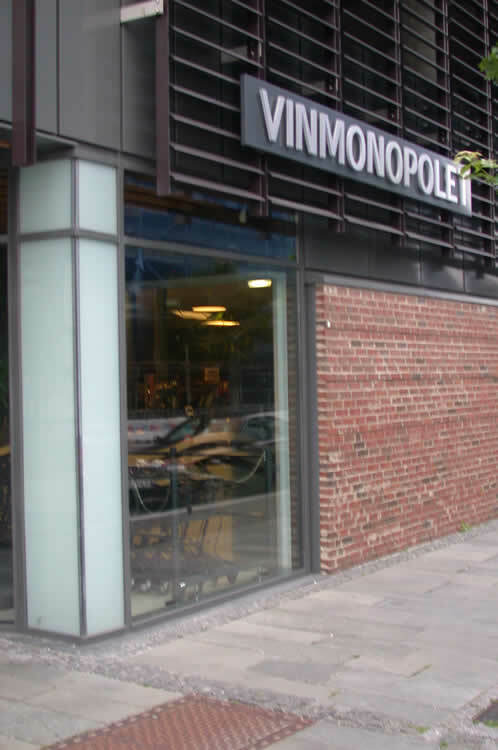 A mixture of architectural styles in Oslo. 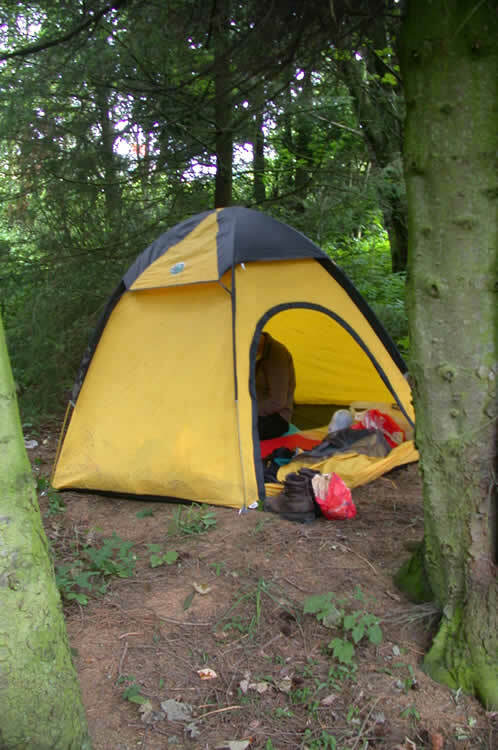 Camping at the Bygdøy peninsula in Oslo. 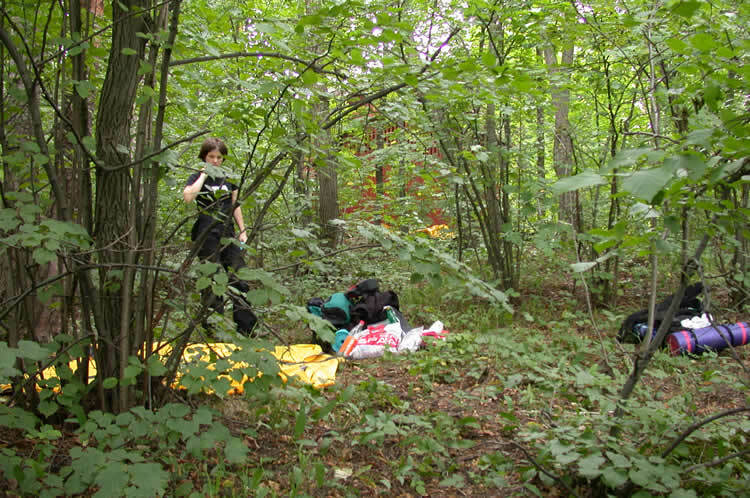 We arrived late in Asker and found a camping place next to a football field. Somewhere on the road between Asker and Lillesand. 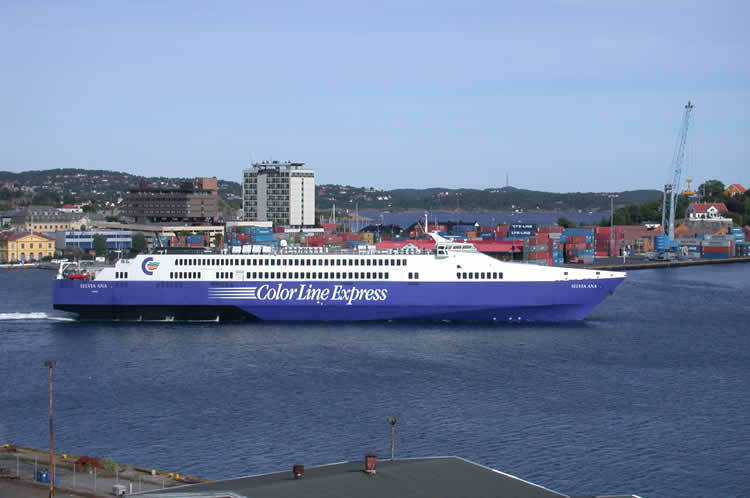 We took this Color Line Express ferry a week after this photo was taken. 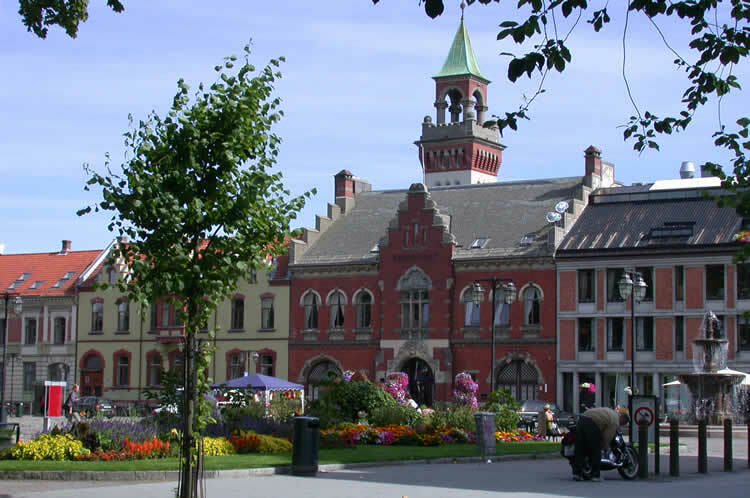 It goes from Kristiansand to Hirthals (Denmark). After about 1,5 of hours of trying to hitchhike somebody took us. In three hours time he took us all the way to Sandnes. A 225 km trip. We camped next to a lake near Bråstein. We had a nice view from the tent in the morning. Walking in the Sandnes area. This ferry took us from Lauvvik to Oanes. Small boat in the Lysefjord. Revsvatnet lake near the Prekestolen parking place. 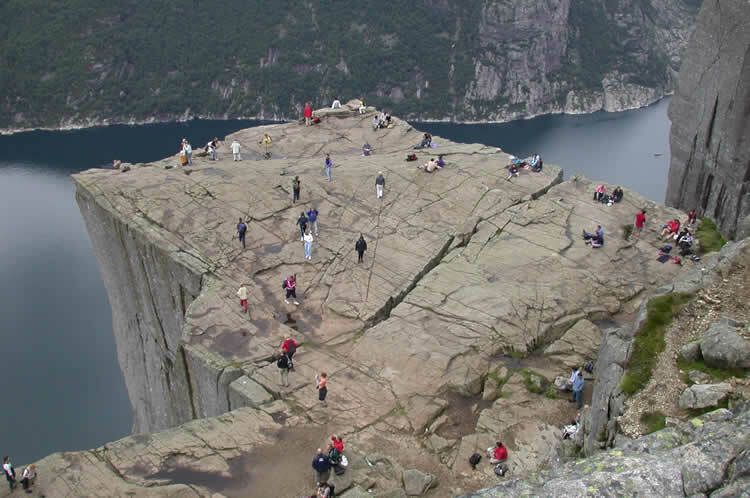 Overview of the walking trip to Prekestolen (Pulpit Rock). ... but it was really foggy from early morning till noon. We went back to the basecamp for breakfast. 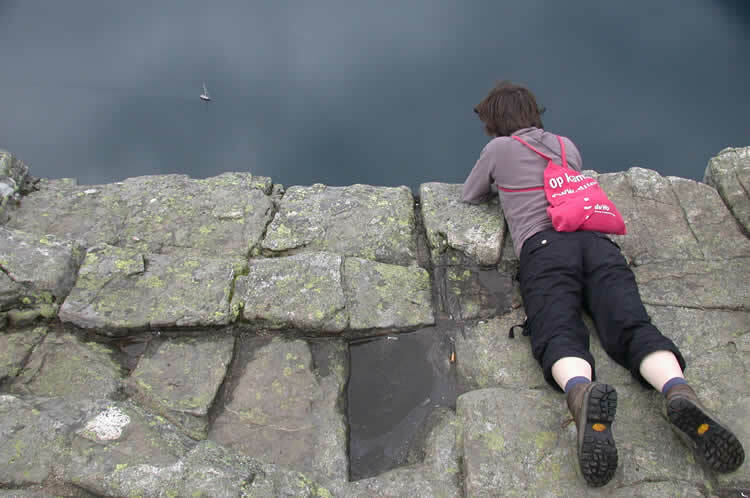 In the begin of the afternoon we walked up to Prekestolen again. 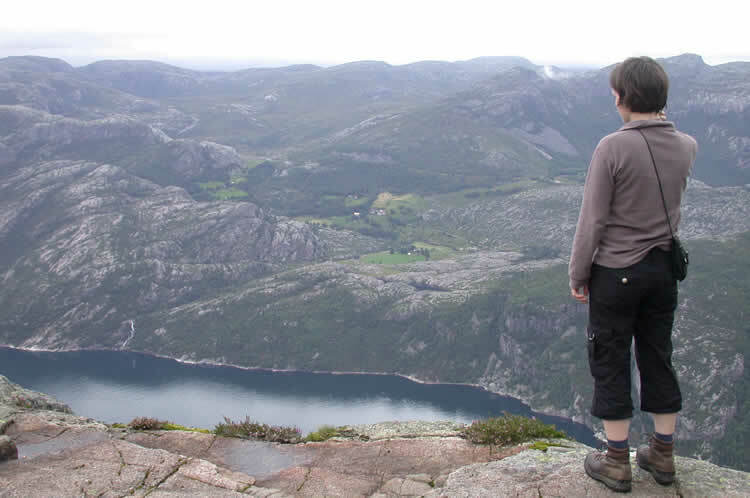 Magnificent views over the Lysefjorden. 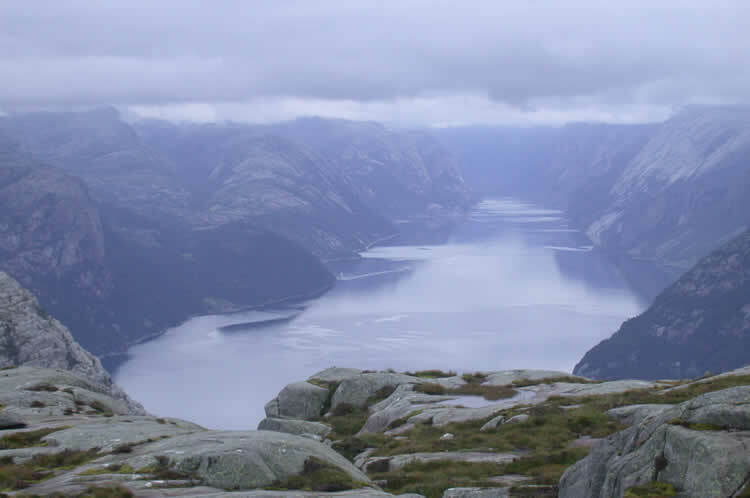 Lysefjorden and in front Prekestolen. 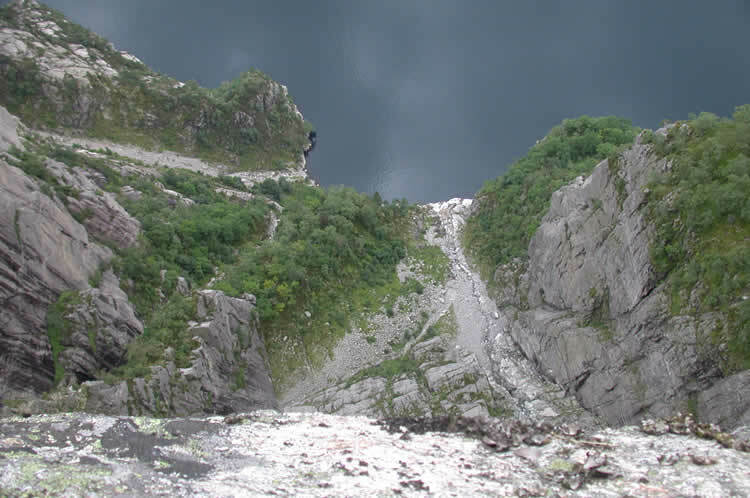 Looking across the edge of the Prekestolen rock. 604 meter lower a sailboat sails on the Lysefjord. 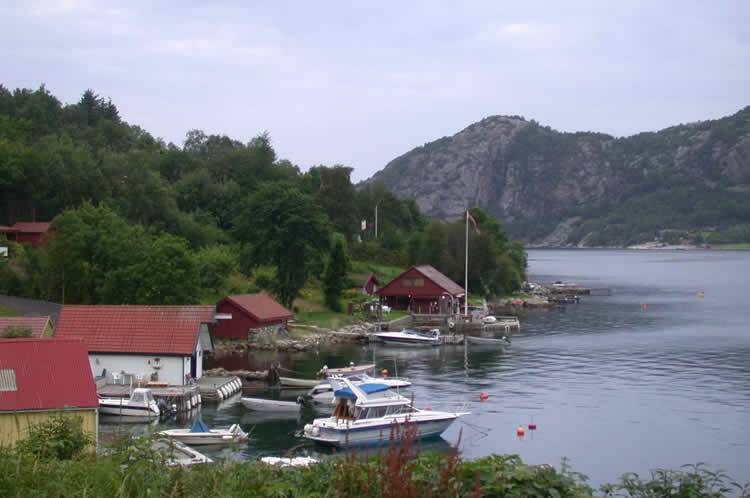 Lysefjorden near the village of Høle. 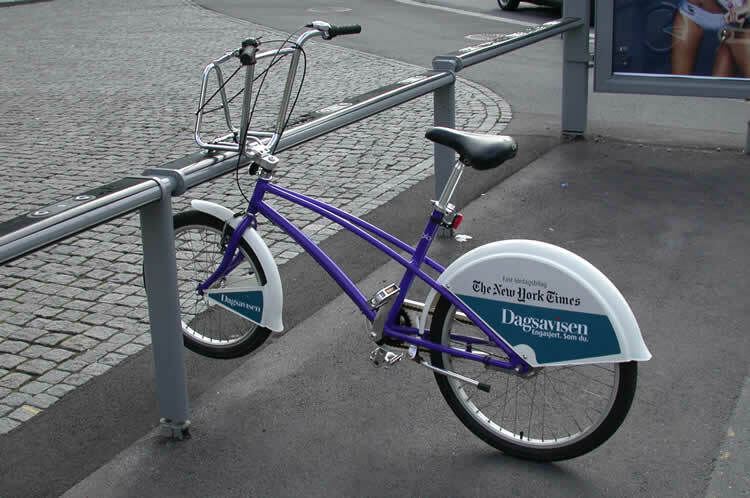 City bikes in Sandnes. 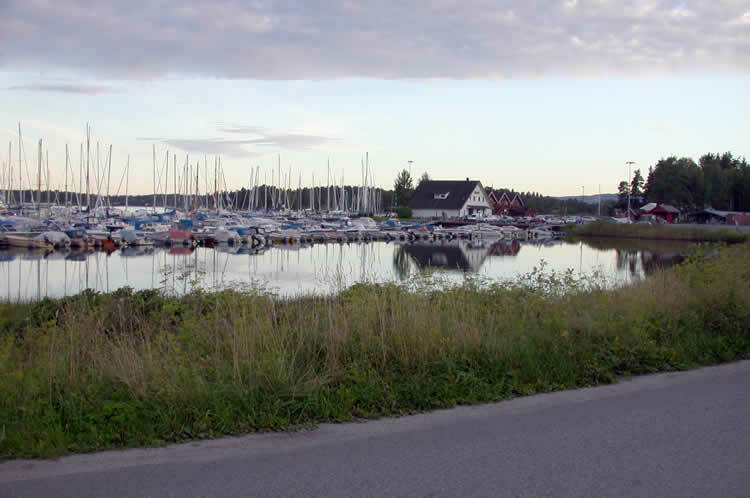 In Sandnes are many cycling paths and the city advertises itself as 'cycling city'. A friendly man in a Landrover took us along the coastal road to his house. 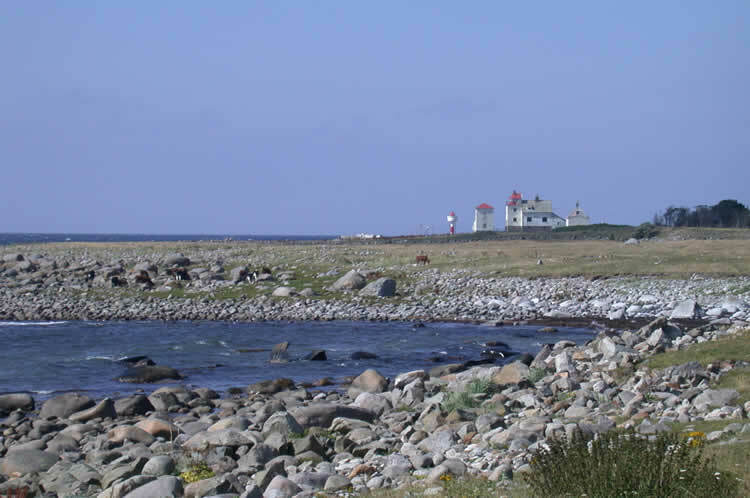 This happened to be next to the lighthouse of Kvassheim. From there, we made a nice walk through the sand dunes to Brusand. A group of calfs decided to accompany us on our journey. Unfortunately we had to say goodbye soon. 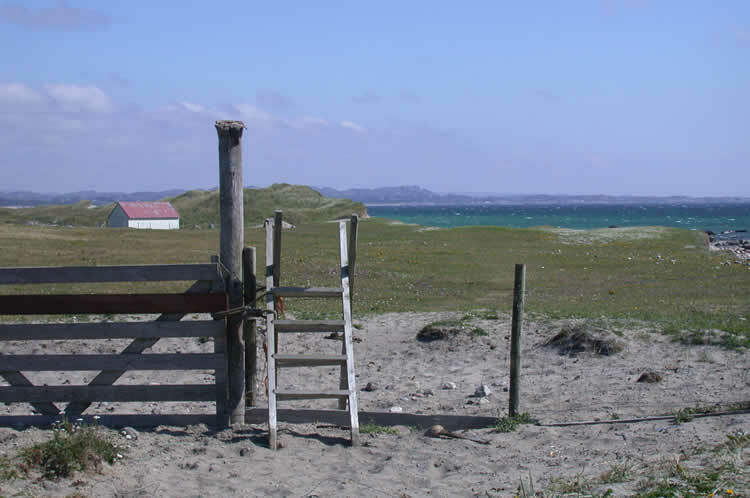 Fences could be easily crossed using the steps. Passage through the dunes to the beach. Enjoying the view over the sea. 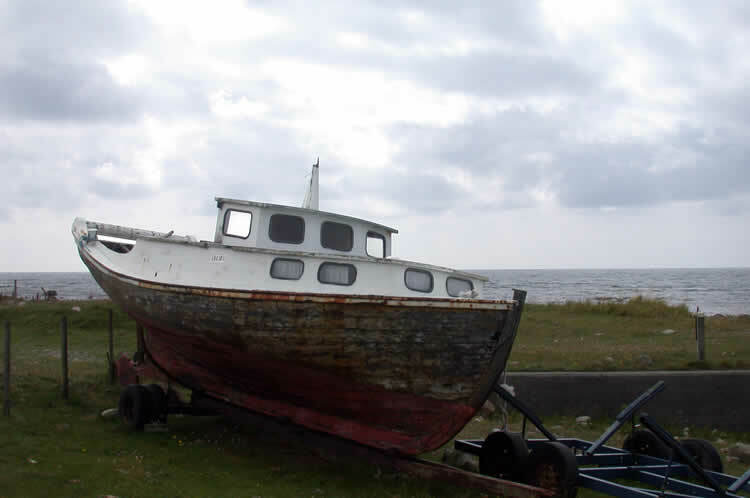 Boat on the beach, near Ogna. Camping in the dunes near Ogna. Pittoresque houses in Sogndals-Strand. 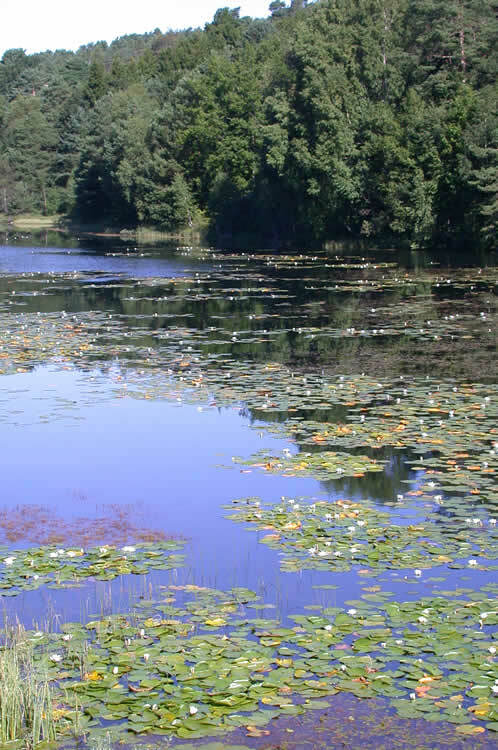 We saw many fishes jump above the water surface. Camping. Somewhere east of the town of Flekkefjord. This young Norwegian took us from Flekkefjord to Mandal. 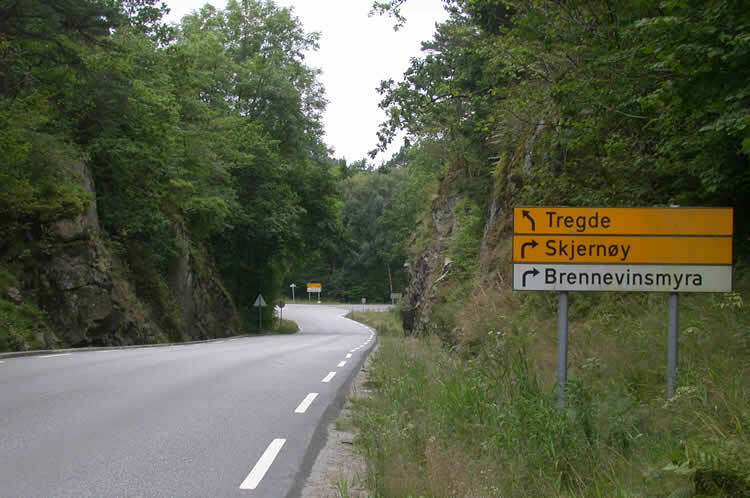 Small road between Mandal and Søgne. 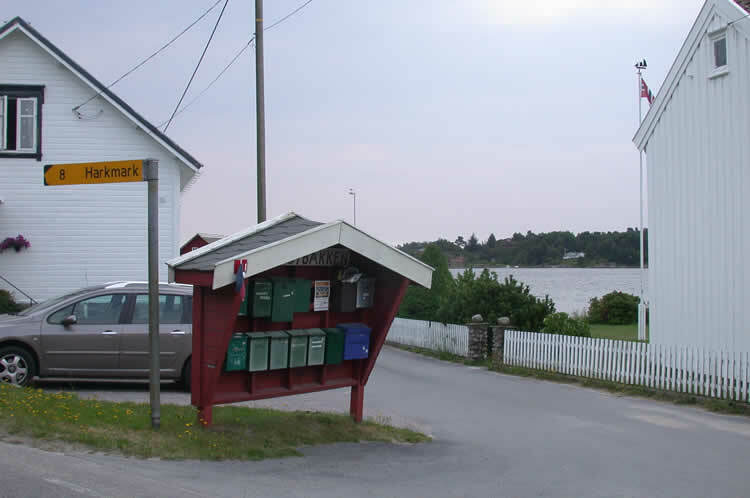 Postboxes in Norway are often hung together in houses like on the picture. Sometimes the house is even bigger and has seats. Preparing the mushrooms which we picked up near Flekkefjord. 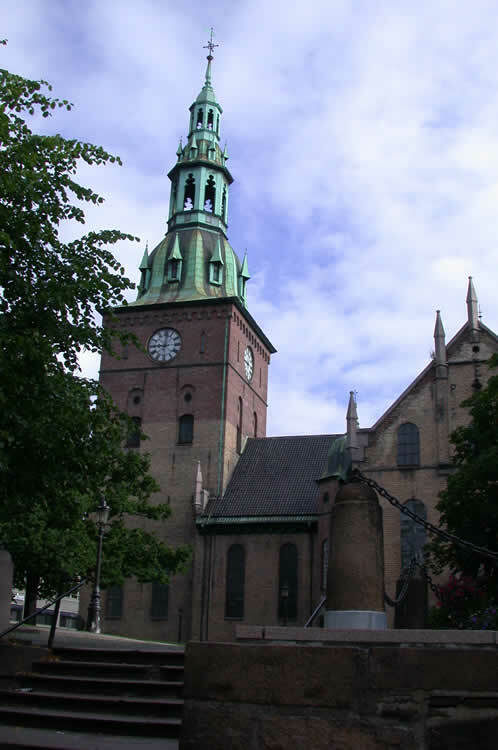 Dinner between Harkmark Kirke and a group of standing stones. Country road between Lian and Røsstad. Foggy view over the Hundsøyfjorden in Søgne.